It’s easy to diagnose an arrhythmia. 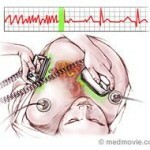 Simply wear a Holter monitor or a 2 week loop monitor and it is likely the physician will catch it. Treating arrhythmias is also doable with an EP study that involves placing EP Catheters in the heart and destroying the pathway that is causing it arrhythmia. But what about preventing an arrhythmia or limiting the triggers that induce it? 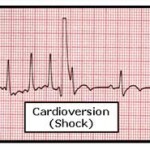 This article will discuss factors that trigger arrhythmias. Hopefully by reducing the risk factors below, one will reduce the likelihood of requiring an EP procedure or wearing a loop recorder or Holter monitor. Diet: According to the American Heart Association (AHA), a heart healthy diet is high in whole grain foods, vegetables and fruits (at least five servings a day) It includes lean protein sources like beans, fish and low-fat dairy products. The diet should derive the majority of fat from unsaturated fats like olive oil, and avoid trans fat saturated fat, and cholesterol. Obesity: It is also important to balance the calories you burn with the calories you eat through daily exercise and activity. Obesity is linked to heart disease. Exercise: Not only does exercise help control weight, it works the aerobic system and is good for your help. Activities like running, brisk walking, swimming, bicycling, or even household chores is good for your heart. Smoking and alcohol: The AHA recommends you both quit smoking and restrict alcohol use to two drinks a day for men and one a day for women (a drink equals 4 ounces of wine, 12 ounces of beer, or 1 ounce of 100-proof spirits). Stress: Daily stress has been associated with heart disease, so removing stress from your daily life is good for your heart. In addition to the general guidelines above, there are other risk factors that specifically influence arrhythmias. Supplements: Some herbal supplements may contribute to arrhythmias. For example, Ephedra, the herbal supplement used as an energy booster and diet aid increased the risk of arrhythmia. The FDA pulled it from the shelves in 2004 for that reason. Nicotine, caffeine, and other drugs: Stimulants, both illegal and legal, can contribute to the development of arrhythmias. Nicotine and caffeine may cause premature heartbeats, which, over time, may become more serious arrhythmias. Amphetamines and cocaine are known to accelerate the heart rate, and in some cases lead to ventricular fibrillation and sudden death. A single episode of heavy alcohol consumption can trigger certain arrhythmias like atrial fibrillation. Medications: Many medications have side effects that have the potential to cause arrhythmias. Over-the-counter cold and cough medication may increase heart rates. There are over 50 FDA and Health Canada approved medications have the potential to prolong the QT interval (the measure of time it takes for the electrical system in the ventricles to recharge after each heartbeat) and thus cause the acquired form of long QT syndrome (LQTS). 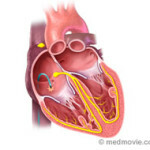 This is when the heart’s mechanical or pumping function is normal but its recharging system is inefficient or slow. Those medications include certain antidepressants, antibiotics, oral hypoglycemics, antihistamines, antifungals, psychotropic medications, and even drugs used to treat heart disease like diuretics and lipid-lowing medications. It’s important that with inherited LQTS, ask physicians and pharmacists if a prescribed medication has the potential to aggravate the condition.